Try Mick’s SPINK on acoustic guitar for a mellow sound and save wear and tear on you fingers. 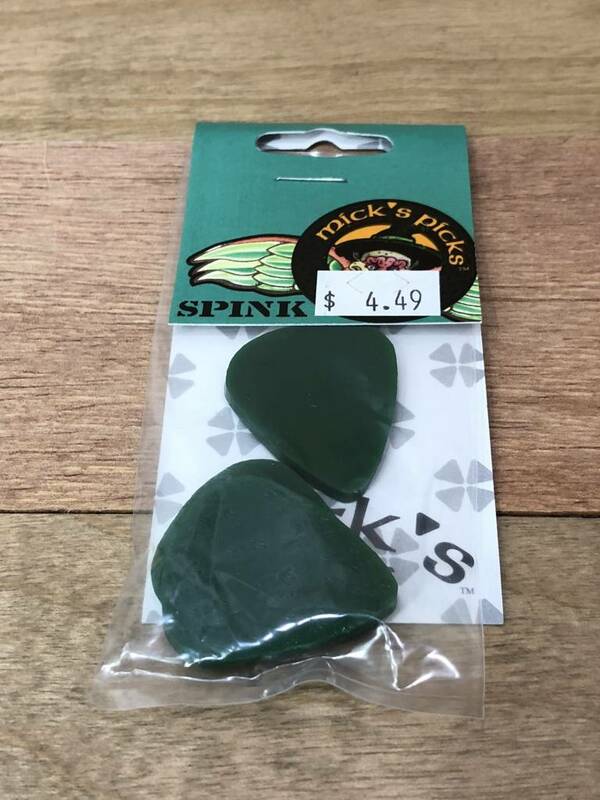 SPINK bass guitar picks are made from exclusive Toneflex polymer. Spink is 3.0mm thick, very flexible and durable for great playability on bass and other instruments. Autoharp and ukulele players love the SPINK too. Session players have discovered that SPINK will eliminate the percussive clicking common with standard picks. You won’t need to spend time adjusting the EQ on your bass tracks just to remove unwanted clicking sounds! Try Mick’s SPINK on acoustic guitar for a mellow sound and save wear and tear on you fingers. Spink is named after a small Irish town fabled to be home to the chubbiest leprechaun in all of the Emerald Isle! SPINK is equally as impressive in it’s girth.